The achievement or the trophy A Knight to Remember in the new DLC Blood and Wine for The Witcher 3 requires flawlessly winning of all five contests during the knights' tourney in Toussaint. The tourney takes place within the side quest "The Warble of a Smitten Knight." 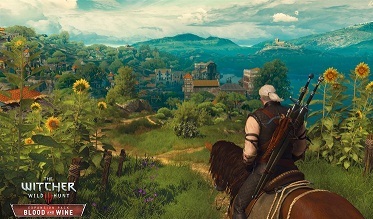 You will receive the quest automatically in your journal during the main quest "The Beast of Toussaint." However, you can easily miss the Achievement "A Knight to Remember" for the successful completion of the knight’s tournament. To prevent this from happening, just follow the steps given in our guide below. Once you have completed all five events successfully, you will receive the achievement / trophy A Knight to Remember. If you lose one of the five competitions or in a dialogue pick the wrong decision, you will miss the Achievement. You have to be careful one dialog decision that you will encounter after the third competition, if you accept the bird in the forest. You must here necessarily say that you want to continue the tournament, otherwise the quest will end. - Target shooting with the crossbow: Here you need to work on your 9 red targets with the crossbow. Shoot only on the red wooden knights. - Horse Racing: Here you have to ride off with roach 9 checkpoints / track and thereby make a straw doll in the ride with the sword or crossbow targets on the way to shoot to get time bonuses. Here you can hold the targets button or one of the attack buttons to temporarily slow down the time. In this way, you can make better targets. The time is important here. - Mounted Duel: You step against Prince in a duel on horseback and must defeat him with the sword. Here you can press the re-attack button to slow down time. - Arena fight 5 vs 5: A fight 5 against 5 in the arena. Attack your opponents best in back to when they are busy with your allies. So you should have no problems here. - Arena fight 1 vs. 1: Now you're on your own and you have the last competition, compete against the huge Knight Gregoire de Gorgon. He is comparatively sedate and you can defeat him well by alternately Dodge and slamming. Have you won all competitions and select properly the crucial dialogue option then the Achievement "A Knight to Remember" is all yours. A guide to Achievement "A Knight to Remember" you can see again in the following video.